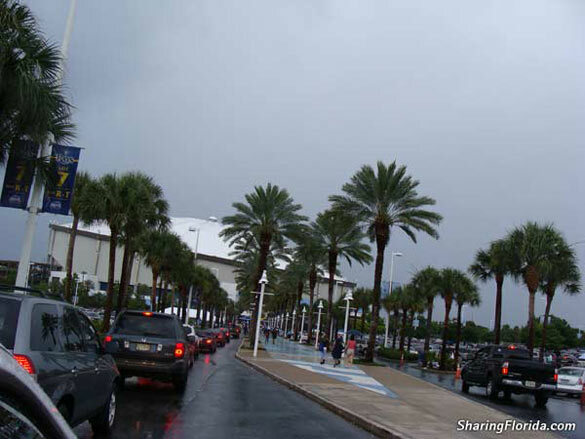 This the Tropicana Field in St. Petersburg. 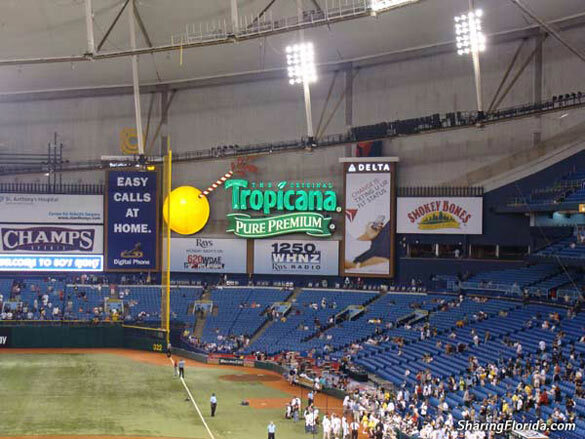 It is a dome stadium, and very well air conditioned for summer baseball games. The dome is white on top, and is lit up orange when the team wins.